I’m feeling slightly guilty that I’ve lured you in to reading my blog entry under false pretences. It certainly is a New Year and I wish you a very Happy one indeed but the latter part of the title doesn’t really apply to my blog. 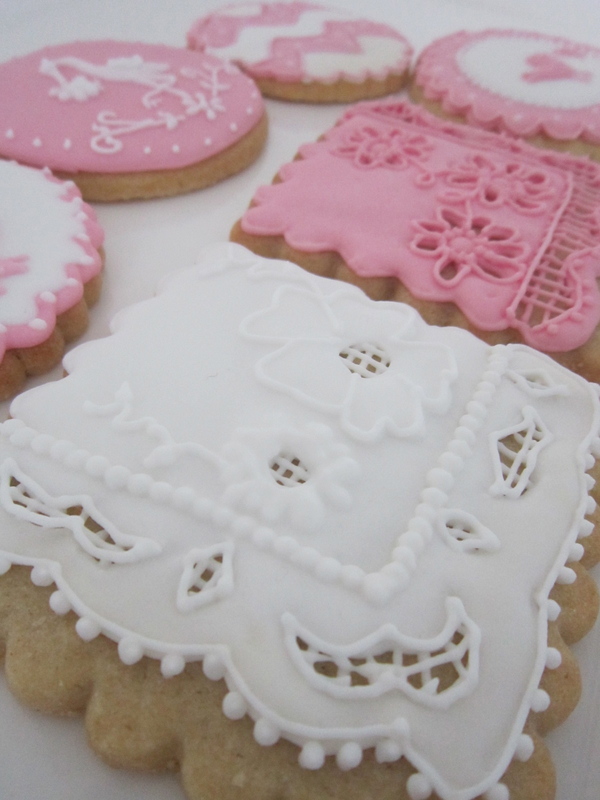 It’s same old, same old here with cookies and more cookies. However what could improve things more than a new baby and a good friend of mine had a baby on New Years day..adorable.. 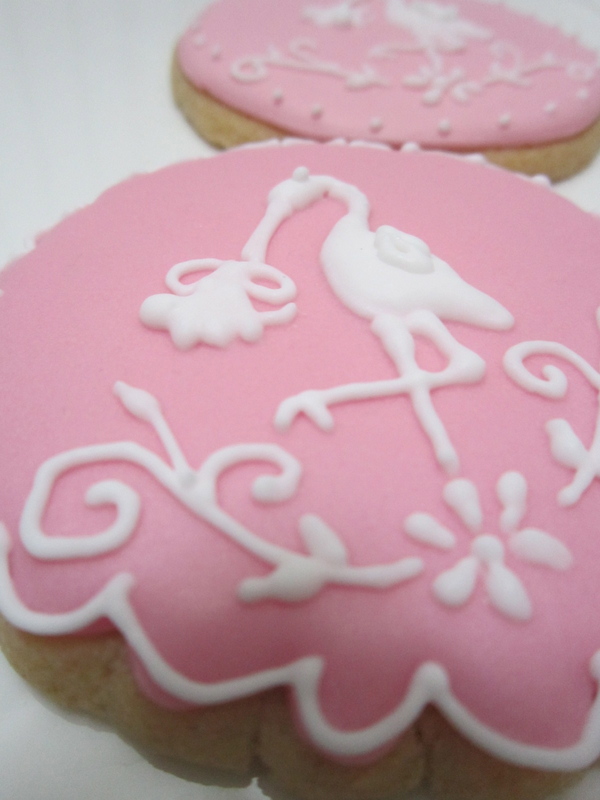 Here are some very sweet offerings..Is it it a bird?Is it a plane?No it’s baby girl bird themed cookies.. 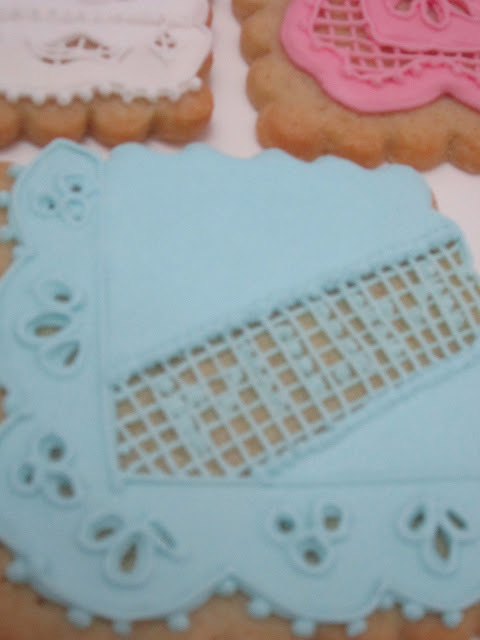 The stork complete with baby is perfect for baby showers..
And a pretty, pretty monogram cookie..
Those cookies would look wonderful for a boy (if I’m going to be totally predictable) in the blue I have used for my cherub designs for this year’s Valentine’s Day.. I ended up using the new baby colours for my Mother’s Day hankie cookie designs which were inspired by the hem of my toddlers dress..
And the complete set of hankies.. Finally returning full circle to birds, I know they aren’t everyone’s cup of tea but I love them so here are some rather cute owl cookies..